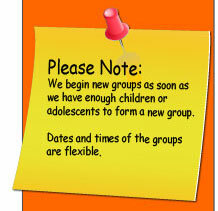 The Social Skills Group Help Your Children Build Self Confidence. Child Psychology information helps build parenting skills, which in turn will help you to build positive self confidence in your children. Knowledge about children is important. A brief course in child development. According to Erik Erikson, the socialization process consists of eight phases - the "eight stages of man." I will review the ones that pertain to raising children. Erikson believes, this is the period of infancy through the first one or two years of life. The child, well - handled, nurtured, and loved, develops trust and security and a basic optimism. Badly handled, he becomes insecure and mistrustful. Erikson believes, occurs during early childhood, probably between about 18 months or 2 years and 3½ to 4 years of age. The "well - parented" child emerges from this stage sure of himself, elated with his new found control, and proud rather than ashamed. to lead as well as to follow. Parents please encourage your children to play with other children allowing these skills to develop. Supervision is always important. Erikson believes that the fourth psychosocial crisis is handled, for better or worse, during what he calls the "school age," presumably up to and possibly including some of junior high school. Here the child learns to master the more formal skills of life: (1) relating with peers according to rules. Erikson believes, during the fifth psychosocial crisis (adolescence, from about 13 or 14 to about 20) the child, now an adolescent, learns how to answer satisfactorily and happily the question of "Who am I?" On to self confidence and how to help to develop it in your children. Know that a relationship exists between a child’s self confidence and their skill development. As a child’s self confidence increases so will their abilities in many areas, including academics and social skills. As the academic competence and social skill competence increase, so does their self confidence. They are related. During the earliest years of your child’s life, be generous with affection. Take many photos of your child. Make a good fuss over them. Surround your children with family and friends. Enjoy life together. Take them on outings, to the library, the museum, the zoo, to see the beautiful botanicals, to the beach…. When you enjoy your children and life with them, naturally this builds their self confidence. They will feel worthwhile. Tell your children what you see “right” in their behavior. “I notice that you cleaned up the toys.” Do not tell your children what you see is wrong. You can point it out to them, but focus more on what is “right” with their behavior. Always and at any age, help your child identify how they feel. Be a compassionate listener. Encourage conversations with your children about how they feel and even point out how you feel about things. Children often “behave” their feelings and we need to help them to narrate the feelings with words. Our children are trying to grow up and be the best they can be. They will make poor choices and they will make mistakes. But do not allow those mistakes to define your child. Help them to learn from the mistakes. Use honest and open communication at all times. Life is reciprocal, and we are their teachers. Tell your children at every age that you love them. Tell them every day if you can. Tell them to have a nice day in the morning when they leave for school. Do not compare your children with other children or with their siblings. Try to avoid giving your children negative comments. They internalize our words, and these words will linger in their thoughts and minds for years to come. This hurts their developing self confidence. Focus on your child’s strengths and build on strengths. Encourage collections. This helps a person to become an expert at something. They will want to learn about the topic and they may become passionate about the topic and later transfer this to something else they do in their life. Growing up takes years. Continue to help your children to channel their energies wisely. Hang in there until they go to college, at least. Communicate your confidence in your children’s futures. If you are having a difficult time with something or a relationship, get yourself support and do not take your “angries” out on your children. Love your children unconditionally always. Helping to build self confidence in your children is easier than your thought. Copyright 1950, 1963 by WW Norton & Company, Inc.